I've played with the idea of creating a blog related to my interest in genealogy since I started exploring the subject more seriously about three years ago. I've avoided it mainly for fear that it would be a vain, self-indulgent effort that would have very little value. However, earlier this month, I attended the RootsTech conference, and my perspective changed drastically. There I learned that though I am not a genealogy expert I need to do my part to nurture this precious, emotional pursuit. It's done a lot for me, and by sharing my successes, failures, and whatever knowledge I've gained, I hope others as well as I might gain at least a little...If not, perhaps this "vain, self-indulgent effort" might serve as good cousin bait. I am particularly concerned about the state of Italian genealogy. Please don't get me wrong...There are many passionate, knowledgeable people out there dedicated to the field. Some of these individuals can be found via the links along the right. However, as I've become more involved in the broader genealogy community, I can't help but feel that individuals of Italian descent are underrepresented when it comes to shaping genealogy's future. Therefore, I also hope to do my part to change that. I've chosen to launch this blog on a very symbolic day for me, February 12. In fact, it represents the main reason I began exploring genealogy in the first place. Like many first born males of Italian descent, I was named after my parternal nonno (grandfather), Damiano De Virgilio. 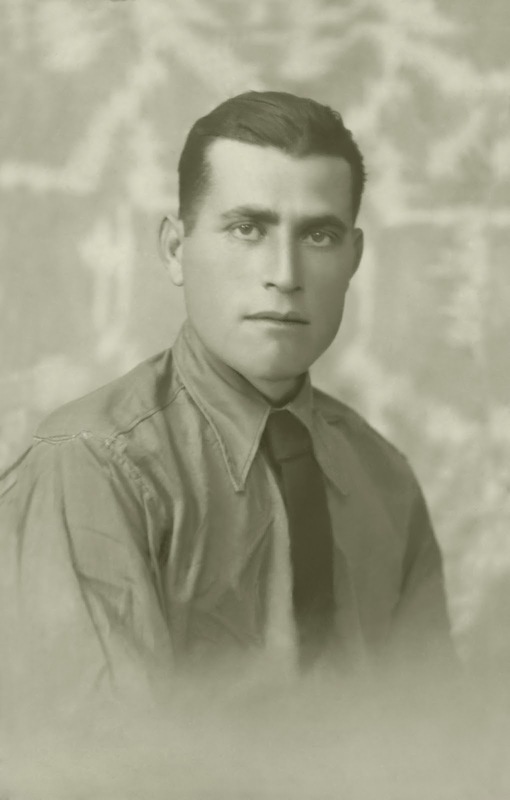 Even as I was growing up, his disappearance while serving in the Italian army during World War II cast a very long shadow over the lives of my immediate family. All we knew was that he was taken prisoner by the Germans in Rhodes after the Italian armistice of September 8, 1943. After that, his fate was a complete mystery. Carrying his name made me feel that I had an obligation to uncover the truth despite the logistical and bureaucratic hurdles. In the end, I discovered the truth about the forgotten Oria shipwreck off the coast of Greece where over 4,000 Italian prisoners of war perished on February 12, 1944. When I started, I never anticipated that the process would also teach me incredible lessons in the power of the internet, social media, and collaboration across boundaries of language and geography. Abigail Pfeiffer eloquently recounts the struggle and successes in one of her blog posts, and Salvatore Rossetti has created a site to help honor our lost family members. There are so many to thank and recognize in this still evolving epic where we continue to work to inform all family members of victims, ensure that the lost are properly memorialized, and engage authorities to help protect human remains and artifacts from vandals. However, I would be doing a major disservice if I did not acknowledge Aristotelis Zervoudis. If it wasn't for him, none of this would have been possible. Most recently, RAI TV has produced several pieces on the Oria. This following video has English subtitles. Earlier this week, a fellow grandson of one of the fallen, Michele Ghirardelli, was interviewed on an Italian talk show. In future posts, I will discuss various aspects of our efforts from a genealogical perspective, but for today, I do my small part in honoring my Nonno Damiano, his fellow lost, and all those who continue to work to ensure that their memory lives on. Damian, well written! I can't wait to read about where your research takes you, good luck! Telis, it was the least I could do considering all you've done. Damian, I missed your first post when it when up but came across the second one via facebook. Bravo, cousin, you've snared two of us now! 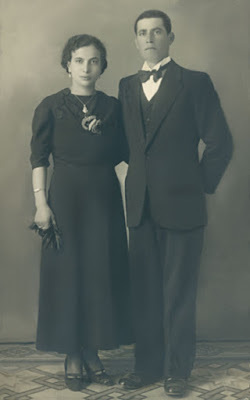 My maternal grandparents are Pietro and Giovanna [Nave] Toso, both from Liguria. I'm delighted to have found your blog because there seems to be so few that focus on Italian genealogy. Each and every such source is a treasure. Thank you, and I'll be along for the ride! Thanks! I appreciate the company! Were the Italian prisoners from all parts of Italy? Is there a list if names somewhere? Your research is inspiring! Thanks for the feedback! They were from all over Italy. The full Italian version of the Oria website (http://www.piroscafooria.it/) contains the full list (in PDF form) that was ultimately attained with the invaluable help of International Red Cross. We are also developing a virtual memorial wall as new family members are identified. The past few weeks since the recent Italian television piece has been especially exciting and emotional. A variety of individuals with connections to the shipwreck have come forward.